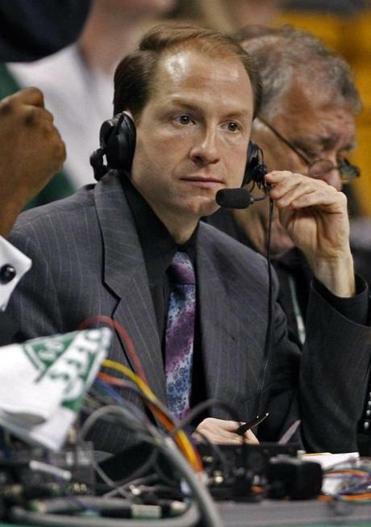 SEAN GRANDE: Will remain Celtics’ radio play-by-play voice. The worst-kept secret in Boston sports radio has become a reality: 98.5 The Sports Hub will be the new radio home of the Celtics, beginning with the 2013-14 season. It is a multiyear deal, but terms were not disclosed. “We’re very excited,’’ said Celtics president Rich Gotham. “We don’t look at this as a stand-alone play-by-play deal. We look at it as a partnership that includes play-by-play rights, but also as a promotional platform for our advertisers and our team. The Celtics had been on Entercom-owned stations since 2005-06 — WRKO for two years and then WEEI through last season — but they parted ways in August. The Sports Hub now has rights deals with three of the four major Boston sports franchises: the Celtics, Patriots, and Bruins. When the Celtics and Bruins play on the same night, the former will move to WZLX, another highly rated CBS Radio-owned station in the market. Gotham said the Celtics, who are in the foundation stages of a rebuilding project, are focusing on “relevance rather than ratings’’ and have no issue sharing a flagship station with the championship-contending Bruins. There will be a minimum of 19 times this season that the Bruins and Celtics play on the same day or night within a three-hour start-time window, and three more times when the Bruins and Patriots conflict in the regular season. “It’s really not a concern with us,’’ Gotham said. “We’ve had a good relationship with WZLX. I go on with Karlson and McKenzie, Mike Gorman calls in there, the relationship already exists. They’re such a strong station themselves” — frequently at or near the top of the Arbitron ratings for the men 25-54 demographic — “that we feel it helps us to extend our reach. The long-running and popular broadcast tandem of play-by-play voice Sean Grande and analyst Cedric Maxwell will remain intact. Grande and Maxwell have called more than 1,000 games together since they were paired in 2001-02. Howie Sylvester will be the producer. Though it has been little more than a month since the Aug. 20 parting with WEEI, it has felt like the partnership with CBS Radio was a drawn-out process, perhaps because the expectation has been that they would end up there. The whole we-can’t-say-it-yet situation reached a particularly amusing level when various team personnel, including Gotham, coach Brad Stevens, president of basketball operations Danny Ainge, and Grande all appeared on The Sports Hub’s “Toucher and Rich” program Tuesday morning without directly acknowledging that the team’s games would be on the station soon. Speaking of poorly kept secrets, TBS confirmed this week what was reported here Sept. 12: Pedro Martinez will serve as a studio analyst during the network’s postseason baseball coverage, which begins Tuesday with the two wild-card playoff games. Martinez, who has a better sense of humor in his second language than most of us do in our first, sparkled during occasional appearances inside the booth during NESN’s Red Sox telecasts this season, most recently when he visited Don Orsillo and fill-in Derek Lowe during a game against the Rays in St. Petersburg, Fla.
Martinez is even more of a novice when it comes to studio work, but he’s approaching it with the same verve and preparedness he took to the mound for every start during his seven seasons (1998-2004) with the Red Sox. He says he can be critical when the moment calls for it — Martinez has never lacked candor — but has no interest in disrespecting anyone playing the game. “I have a lot of respect for the game, for the players, and for the effort it takes,” he said. “You know what, if you’re a normal person, you know that no player — and I’m telling you from my own experience — no player wants to go out there in front of 50,000 people and look bad. No one wants to go out there and fail in front of all those thousands of people, make a joke out of yourself. Martinez will be joined in the studio by host Keith Olbermann and reporter Tom Verducci. Former Red Sox manager Bobby Valentine was expected to be a part of the studio team — he auditioned the same time Martinez did — but Neil Best of Newsday reported Thursday that his recent bizarre and tactless comments about his belief that the Yankees didn’t help out as much as they could have in the aftermath of the Sept. 11, 2001, terrorist attacks ended his chances. In retrospect, it should have been obvious that Valentine had whiffed with TBS when Olbermann, on his nightly ESPN2 program, twice designated Valentine “The Worst Person in the Sports World’’ after his comments.